Technology is constantly changing and the pace seems to be increasing – transformational change seems to occur more rapidly than ever. Not too long ago, advertisers and marketers invested thousands and thousands of dollars for what was essentially a shot in the dark. They hoped their material would find the right audience and ultimately drive revenue. But times have changed and where people used to simply guess, measurement and analytics now reign supreme. Adtech and martech have made these industries more efficient and cheaper. Thanks to our ability to use consumer data and high tech algorithms that determine target audiences and buying behavior, advertisements now find their way to the right people in a much more targeted way. Consumers see ads relevant to their interests and they respond positively. Similarly, social media and martech tools allow brands and consumers to engage more directly, which makes marketing a lot more effective and turns leads into buying and loyal customers. But another change is imminent: technology is moving forward again as publishers, marketers, and consumers alike brace for the convergence of adtech and martech. Advertising and marketing go hand-in-hand. Much of marketing involves promoting a brand, and advertisement without a good marketing campaign is dead. Since the beginning of adtech and martech, there have been those who felt that advertising is part of marketing and, therefore, adtech is part of martech. Adtech tells us whom to engage with, and martech tells us how to engage with our audiences. But beyond the abstract concept, marketers are increasingly overwhelmed with the amount of vendors that they need to orchestrate in order to coordinate successful digital marketing campaigns. In combining adtech and martech, they can receive both from the same vendor, allowing their marketing to run more smoothly. 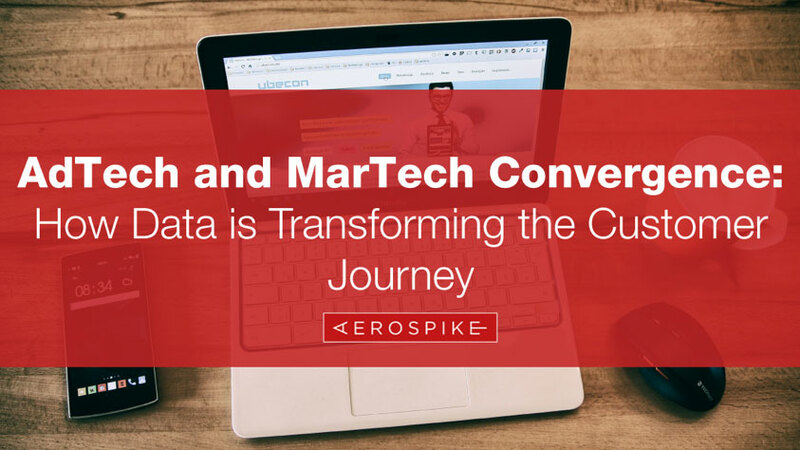 A critical aspect of both adtech and martech — and part of what makes convergence so inevitable — is data management. With companies using separate resources for their adtech and martech, both of which make use of their data, fragmented data architecture occurs and many companies resort to data silos as a way of organizing their data. With the convergence of adtech and martech, the data architecture will become optimized, allowing for faster and more reliable customer interactions. What Does This Mean for the Customer Journey? When it comes to digital marketing, focusing on the customer experience is mandatory. Customers like to engage and interact with a brand on social media and through apps. And even more so, consumers love when brands respond to them. This establishes a relationship, in which the buyer trusts the brand more, resulting in stronger engagement and ultimately buying behavior. When adtech and martech (often nicknamed “madtech”) are combined, the customer experience will be more and more tailored to the individual. Madtech will be able to find the target audiences that are most relevant to a brand or product and it will be smart enough to engage with them in the most effective way. Advances in AI are becoming more and more organic. In this evolution, marketing to millions or even billions of possible customers is being more and more personalized to the individual. But thanks to the advances in technology, it’s still highly efficient for the company. The move from adtech and martech to madtech is inevitable, and in many ways that future is already here. While, like most rapid changes, it may take an adjustment, marketers will easily begin to see a positive change in the way they build up their brands. Read our eBook to learn more about the AdTech and MarTech Convergence and how data is transforming the customer.